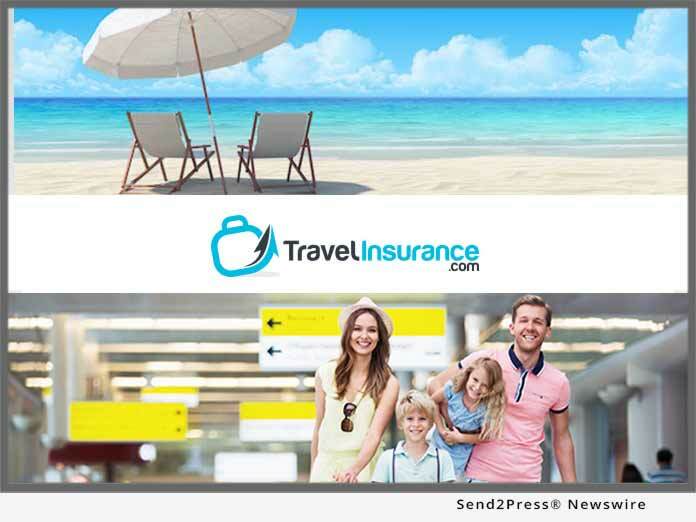 A new survey conducted by travel insurance comparison site TravelInsurance.com found that even though travelers are concerned with travel disruptions and many have experienced mishaps while on vacation, fewer than half of those surveyed have purchased travel insurance. Of those who didn’t purchase travel insurance, only a third even considered it. NEW YORK, N.Y., Nov 14, 2018 (SEND2PRESS NEWSWIRE) — A new survey conducted by travel insurance comparison site TravelInsurance.com found that even though travelers are concerned with travel disruptions and many have experienced mishaps while on vacation, fewer than half of those surveyed have purchased travel insurance. Of those who didn’t purchase travel insurance, only a third even considered it. “The results from the survey show a clear disconnect – respondents have real concerns about travel interruptions and have experienced them first-hand, yet they do not consider the many benefits of travel insurance,” said Stan Sandberg, co-founder of TravelInsurance.com. The survey asked more than 1,000 individuals who travel multiple times a year about their leisure travel habits in 2018, along with what concerns they have when booking their vacations. Below are some key findings. The survey found that more than one in five (22%) will spend more than $5,000 on travel this year, with almost half (47%) spending more than $2,500. Older travelers tend to spend the most as they typically have greater disposable incomes, take longer trips and spend more on vacation travel than their younger counterparts. According to the survey, the top three travel concerns for travelers were weather-related disruptions, the possibility of illness or injury affecting a trip, and terrorism. These concerns are also the top risks addressed by most travel insurance plans. The survey further drilled down into travelers’ concerns about the weather. More than three quarters of respondents (78%) indicated that they’re at least thinking about the weather at their arrival destination when booking a trip. However, more than half (52%) said they rarely or never take into consideration the weather in their departure city when booking a trip. Travel insurance with trip cancellation coverage is one of the most effective ways to protect an investment in non-refundable vacations year-round, but it can be especially important during the increasingly active hurricane season and during winter months when storms are more likely. These both coincide with some of the busiest leisure travel months of the year. While many vacations go smoothly, survey results point to rampant delays. Three out of four respondents (76%) have experienced a flight delay in the past, and nearly half (48%) have had their luggage lost or stolen. Another third (35%) have experienced either getting sick or traveling with someone who has gotten sick while on a trip. Most consumers are worried about travel disruptions, and most have experienced them in the past, yet more than half (54%) have never purchased travel insurance and two thirds (65%) of those have never even considered it. The survey also showed that about half (47%) of respondents didn’t know whether or not their health insurance provided coverage while traveling, especially when traveling abroad. Travel insurance plans can provide medical and emergency evacuation coverage for international travel. The reasons travelers don’t purchase travel insurance show that there remains a number of misconceptions about the value proposition of travel insurance and the benefits it provides. TravelInsurance.com was founded on the primary goal of addressing those misconceptions. By offering a simple and transparent shopping experience where consumers can compare plans and providers quickly, TravelInsurance.com gives consumers an affordable way to protect against the travel disruptions that concern them the most.